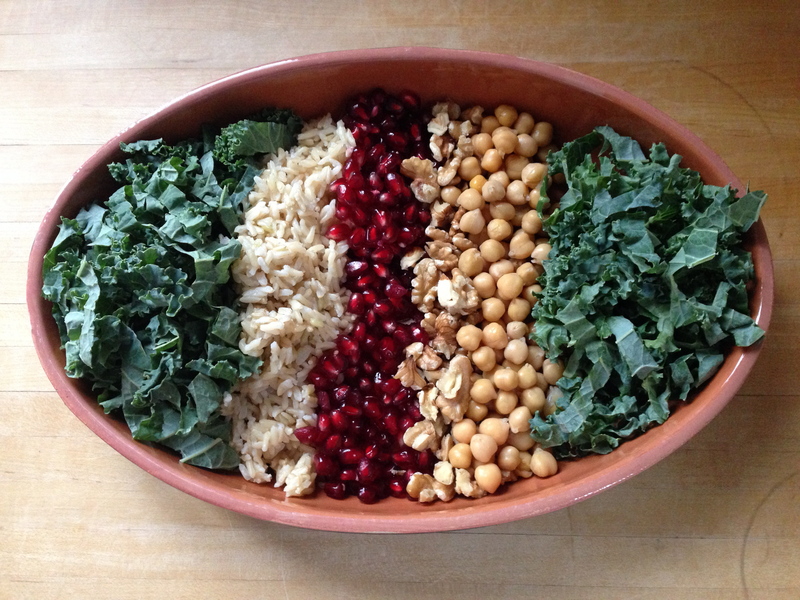 Kick off 2014 with this healthy, hearty salad: kale, brown rice (it’s nice if it’s warm), pomegranates, raw walnuts, chickpeas and more kale. 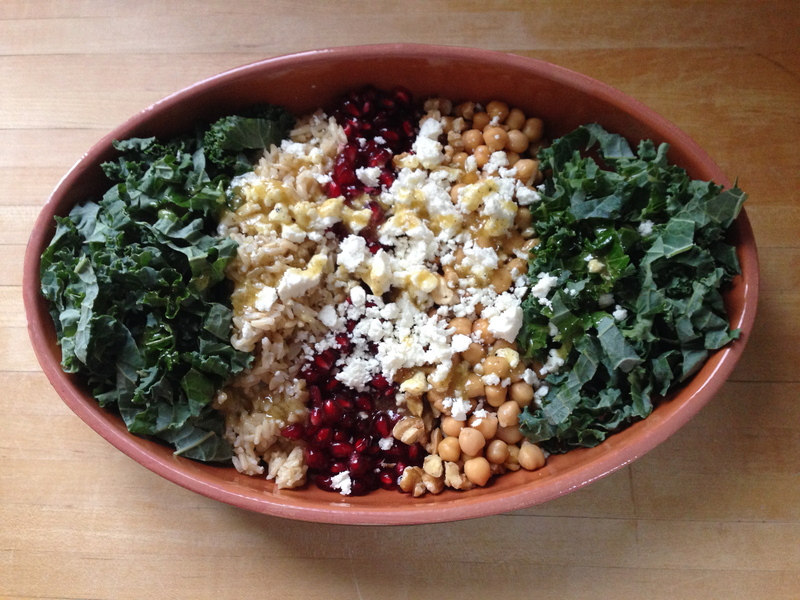 Sprinkle some feta on top and dress. For the dressing I used extra-virgin olive oil, white balsamic vinegar, Dijon, maple syrup, salt and pepper to taste. Be sure to serve it like this so your guests can see how pretty it is before you mix it all up!